'Pataas' was a game changer in the career of Kalyan Ram. The film was a big hit and his comic side was explored. But the Nandamuri actor failed to repeat the success with his next movie, 'Sher'. He is now eager to be back on the success track and has teamed up with Puri Jagannadh for the movie, 'Ism'. The title and the tagline "You can arrest this guy, but can't arrest his idea" have created curiosity. The first look posters, which see Kalyan Ram in a very different look have gone viral on the internet. He is going to sport a chiseled body in this movie and his attitude will also be different going by the posters. Jagapathi babu is playing another important role in this movie and Femina Miss India World 2015, Aditi Arya, is making her debut in Telugu as hero. He is also producing this movie under NTR Arts banner. Anup Rubens, who gave a super hit album for Puri's 'Temper', is scoring music for this movie. 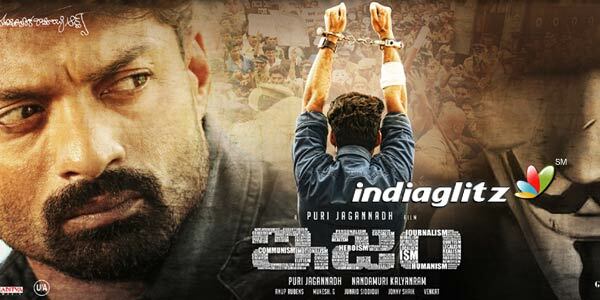 The film is slated for a release on 30th September and we will have to wait and see what Puri's 'Ism' is all about.